Liturgical Press (Collegeville, Minnesota, 2017). University of North Carolina Press (Chapel Hill, North Carolina, 2018). 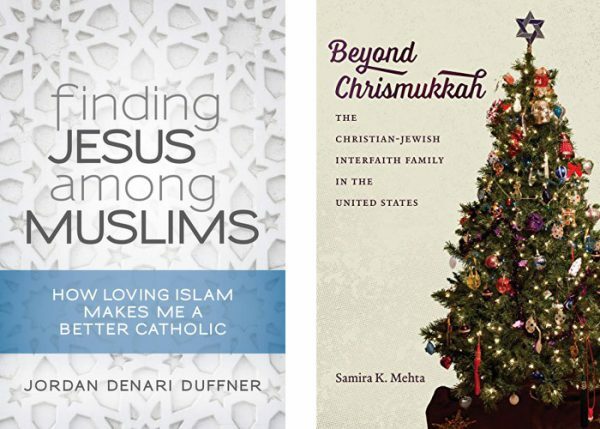 These attitudes admirably inform Jordan Denari Duffner’s beautifully written and deeply felt “Finding Jesus Among Muslims.” It is a timely and important book that offers a quiet but forceful rebuttal to the current demonization of Muslims. The book includes a number of helpful appendices: discussion questions for each chapter, resources for further study, an excellent glossary and guidelines and resources for dialogue with Muslims. These features make “Finding Jesus Among Muslims” particularly valuable for parish or school groups. It is a book of sanity in this difficult time and deserves a wide audience. Samira Mehta writes about the most intimate of interfaith experiences, that of marriage, family and personal religious identity. Mehta, an assistant professor of religious studies at Albright College, has a fluent style that makes academic studies easily accessible to a lay audience. The book is rich in detail, ranging from in-depth conversations with interfaith families, discussion of institutional attitudes on intermarriage, depictions of interfaith marriage in children’s books and visual media (including “Abie’s Irish Rose,” “Bridget Loves Bernie,” “Annie Hall”) and culture (food, cooking, religious objects and home-based religious rituals). Linner, a freelance writer and reviewer, has a master’s degree in theology from Weston Jesuit School of Theology.